ABC is the most prominent mall and department store in Lebanon that offers a unique shopping, dining, leisure and entertainment experience. With more than a 75-year heritage built on the tradition of innovation, ABC was keen to ensure the best shopping experience for customers at its newest mall in Lebanon, ABC Verdun. For this reason, ABC Verdun has invested in a state-of-the-art cabling infrastructure from R&M. This network serves as the platform on which critical mall services including Internet, point-of-sales systems, CCTV, digital signage and the building management system (BMS) now run. 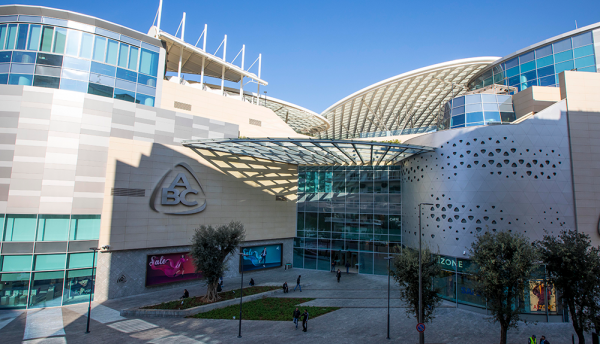 ABC was the first retailer to introduce the mall concept to the Lebanese market, and has become the country’s favourite brand and preferred lifestyle and shopping destination. Located in the heart of Beirut, ABC Verdun is a prime urban retail and entertainment destination. The mall is spread across around 1.5 million square feet – with more than 140,000 square feet of gross leasable area (GLA) across six levels. The project hosts over 200 stores including a wide selection of international must-have brands, as well as movie theatres, around 30 restaurants and coffee shops and several new concept stores. This prioritisation of convenience for its customers prompted the IT team to shortlist R&M as the cabling vendor because of its reputation for quality and service. Moreover, R&M offered an unmatched 25-year system warranty on the cabling infrastructure- thereby ensuring it will be reliable and future-proofed. As a result, key systems now efficiently run on the high-speed cable network enabling everything from in-store payments to mall security and even systems that optimise its 1,700 car parking spaces. R&M’s long-standing presence in the Middle East proved an added benefit to ABC Verdun. The installation time was greatly reduced by use of the high-performance field-installable connector which made it possible to connect the FO field connectors to fibre cables at the site itself in under a minute. This innovation allowed the costly and time-consuming step of fusion splicing to be skipped, as pigtails, patch cables and installation cables were directly connected. For the connectivity of its retail stores, the mall has utilised the very latest Cat. 7 S/FTP cables with Cat. 6A outlets, while the CCTV connectivity is built on high-grade Cat. 6 cabling. This copper cabling network connects to a high-speed FO backbone that utilises OM3 fibre cabling. “R&M’s strengths in copper and fibre presented ABC Verdun with the opportunity to fulfil all its cabling requirements – thus simplifying the implementation. Part of the network is built on R&M’s cabling systems, providing a 25-year system warranty which safeguards the group’s investment and ensures its successful operation for years to come,” said Mohammad Sweidan, Regional sales director, Levant, Kuwait and North Africa at R&M.